Make a stand against censorship! David Cameron’s web filtering agenda is particularly unhelpful. There are a raft of reasons why “default on” filtering is a bad idea. Filters don’t effectively block explicit material and lots of helpful, wanted material gets caught up in the same blockages (including this site!). Even if there was some practical way to avoid problems of this nature (which there isn’t) there’s another, deeper problem involved concerning censorship. As ORG’s campaign “David Cameron: Stop Sleepwalking the UK into Censorship” points out, “adult filtering amounts to censoring legal content”. No other modern, democratic country is behaving this way. By pushing this agenda David Cameron sets a dangerous precedent for the administration of any country which is seeking to justify the suppression of information to its people. Signing ORG’s petition is one way that you can have your say on the matter. By adding your voice to those calling on the prime minister to drop his proposals you can make a valuable stand against censorship. So take a look at the campaign and if it’s something you agree with, make your voice heard! If you’re still unconvinced that “default on” filtering is a bad move, ORG’s page on censorship goes over some of the issues in more detail. This is an issue which is cropping up more and more, in parliament and in the news and a lot of the coverage has a clear and ill considered bias. Get informed and don’t let the UK get “sleepwalked into censorship”. Perhaps you find yourself concerned by the ongoing resurgence of the Snooper’s Charter (CDB) in the media and want to know about practical steps you can make towards keeping it at bay. Open Rights Group champion that cause and you can both support their work and find out more information by attending one of their local meetings. Wherever you are there are active ways to get involved. Simon will be speaking at the local ORG gatherings in Sheffield and Manchester on the 11th and 12th of June respectively. There’s another event in Edinburgh on the 13th when there’ll be a panel discussion with Ian Murray MP, Marco Biagi MSP, and ORG’s own Jim Killock. Alternatively ORGCon is coming up fast. The UK’s biggest digital rights conference is taking place in London on the 8th of June. There’s a packed and varied programme covering all manner of digital rights issues. So whatever it is that gets you fired up, from the Snooper’s Charter to censorship to the digital arms trade, ORGCon2013 is well worth attending. In a welcome move, Nick Clegg announced his opposition to the communications data bill (CDB) last week. His article in the Telegraph listed five reasons why CDB went “too far” in its attempted legislation. Among those reasons was the ease with which competent criminals could sidestep the effects of CDB and the alarming precedent the UK government would be setting for other countries in the scope of its jurisdictional claims. He’s not on his own; these arguments and many more have been brought against CDB from a wide range of opposition. ORGCon is the UK’s largest digital freedoms conference. This year’s edition will include sessions and workshops on net filtering, open data, the Communications Data Bill and copyright, to name a few. The event takes place in London on the 8th of June but tickets are already available and going fast (last year’s event sold out)! 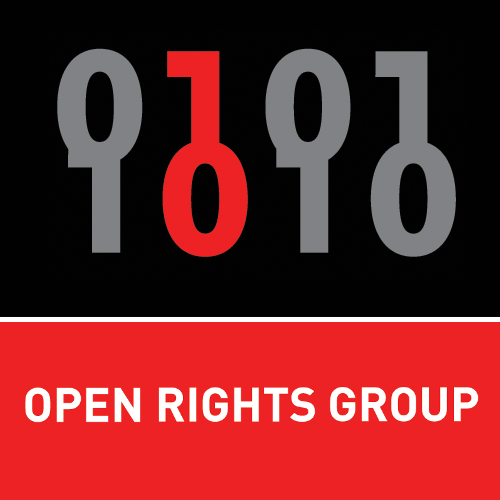 If you’re new to the Open Rights Group and their work campaigning to preserve digital freedoms, you can even get a free conference ticket if you take this opportunity to start supporting their work. It’s a good time to join as they’re throwing in a free copy of headline speaker Tim Wu’s book “The Master Switch” too.